Wooded, technical course that runs through the woods of Roger Popple Nature Area near Webb Park. 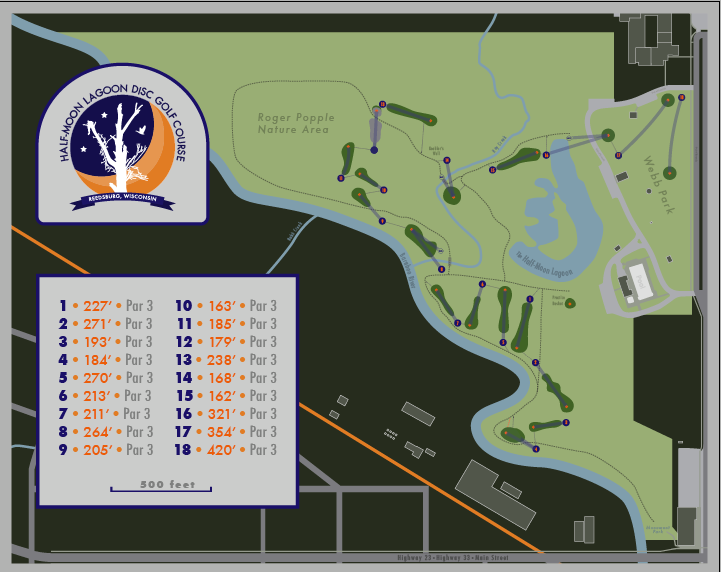 Most holes play next to and around Half-Moon Lagoon and Hay Creek. A few water hazards. From Madison: Drive north on US-12 W/US Hwy 12 for 55 miles, follow US-12 W to State Hwy 33 Trunk W/WI33 W in Delton. Go 12 miles to a right on N Webb Ave. Park near the pool. 1st tee is behind the pool. 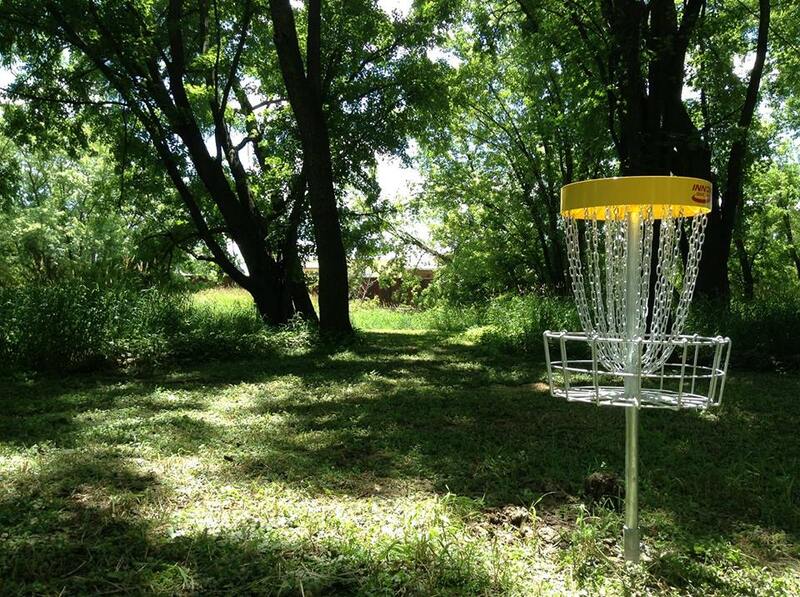 Have you played at Half-Moon Lagoon Disc Golf Course ? Be the first person to review this course!